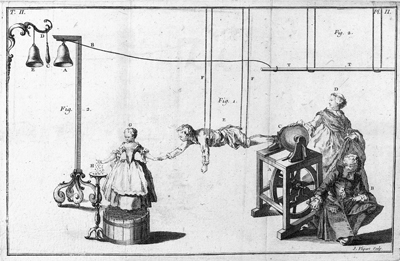 Electrical experiments were all the rage in the eighteenth century. Before the invention of electric bulbs, batteries, or currents, the vivid light of electric sparks was employed to stage spectacular attractions for learned and lay audiences. This talk will illuminate the connections between the first uses of electricity in medicine and the fashionable performances that literally electrified audience members and their bodies. Members and students with ID, free; non-members $15. The Museum is open at 6:20 pm. Reservations required. Contact Kate Dzikiewicz at 203-413-6747 or KDzikiewicz@Brucemuseum.org for more information or questions.